We offer short-term contract options for landscaping waste bins, so you can have the container only as long as you need it. When you are planning a major renovation to your yard at your Orillia, Ontario property, you probably have a checklist of items to manage. But one thing that you may have left off your list is renting landscaping waste bins. Updating an outdoor space often produces a lot of waste, including tree branches, trimmings, and any wrappings of new trees, flowers, and shrubs. You may also find that you’re removing dirt, shrubbery, and other waste from your yard, causing you to constantly fill up the trash container at your house. The regular trash pickup probably won’t come often enough to keep up with your work schedule, but waiting until you have space in the garbage cans will delay your progress. 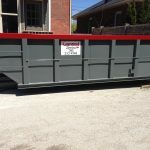 Here in Orillia, you can rent landscaping waste bins from us at Guaranteed Services. We offer short-term contract options, so you can have the container only as long as you need it instead of wasting a lot of money on a long-term contract term that extends well after your job is done. Many of our customers work in the landscaping industry, so they need to rent containers before starting on new landscaping redesigns. Well bring the landscaping waste bins to any location that you need them, and then pick them up when you’re done with the task. 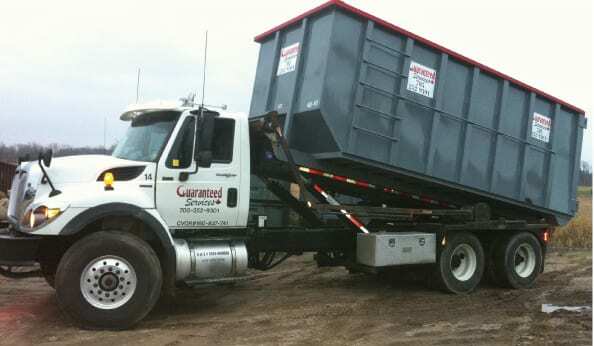 Give our team a call at Guaranteed Services to find out how our landscaping waste bins can make it easier than ever to manage, store, and properly dispose of yard waste, no matter how much your project might produce.